FAQs about elections: When do the polls close? Most polling booths close by 5 PM. But if a election officer/observer at the booth decides that time needs to be extended, he can do it. When do exit polls come? The Election Commission of India has forbidden media from publishing or broadcasting exit polls until the last phase of polling gets over on May 19. Counting of votes will begin on May 23. How to check your name in the voter list ? Those who want to check their name on the voter list can visit www.nvsp.in website. Step 2: Enter basic details such as your name, father or husband's name, state, district, age, date of birth, assembly constituency. Step 3: An alternative would be to simply punch in your EPIC number, your electoral photo ID card number. Do mention the state to be able to check your name, polling station and other details on the page. You can even apply for shifting to a different assembly constituency by filling up Form 6 or apply for corrections in electoral roll entry by filling up Form 8 on National Voter Services Portal. 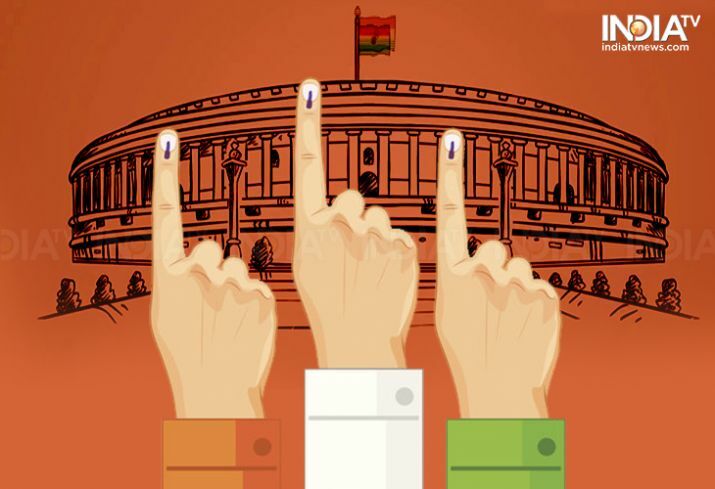 How to know every detail of the 2019 Lok Sabha elections? To get every details of Lok Sabha election 2019 click here. How to check when your Lok Sabha constituency is going to poll? Check polling dates in your constituency click here. How to search your name in voter list? To search your name in voter list click here. How to search for your polling booth online? You can click on 'View Details' to know your polling booth, parliamentary constituency and assembly constituency. Please note that before you search for your polling booth, you must check if your name is in the voter' list. How to search for polling booth via SMS? If you have your voter ID, the simplest way to know your polling booth is through an SMS. All you have to do is type EPIC, followed by a space and your voter ID number and send it to 51969 or 166. You will receive a message within a few minutes which will have your polling booth name and its location. How to download your Voter ID Card online?